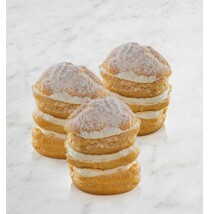 Choux Fromage by Papermoon Crisp, puffy, golden choux pastry with a delightful filling of cream cheese creme bavarois. 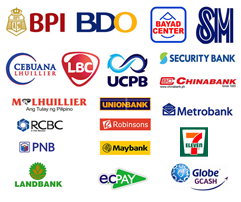 Delivery available within Manila, Makati, BGC Taguig, Quezon City, Mandaluyong and Pasay only. 1-2 days only. Cream Puff by Papermoon The Cream Puff oh my goodness! It looks so plain but once in your mouth you will smile or dance. We got the Praline and Custard versions. Sizes: *piece * 3 pieces Delivery available within Manila, Makati, BGC Taguig, Quezon City, Mandaluyong and Pasay only. 1-2 days only. 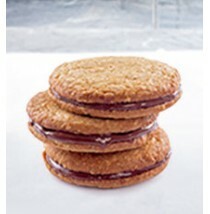 Dark Chocolate Cookies by Papermoon Available in Dark Chocolate Cookie Sandwich. Delivery available within Manila, Makati, BGC Taguig, Quezon City, Mandaluyong and Pasay only. 1-2 days only. Ham and Cheese Ciabatta by Papermoon A twist on the classic Parisian baguette. 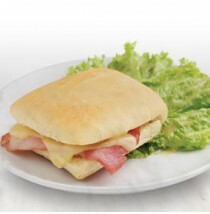 Ham and Emmental cheese in ciabatta bread. Available in selected stores only. 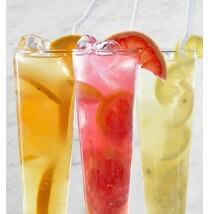 Delivery available within Manila, Makati, BGC Taguig, Quezon City, Mandaluyong and Pasay only. Lead Time: 1-2 days. 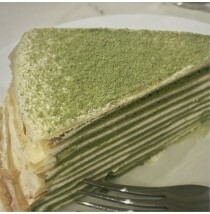 Matcha Mille Crepe by Papermoon Matcha lovers! 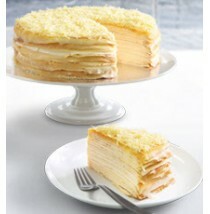 The cafe is also offering Match Mille Crepe for a limited time. The matcha powder is added on top of each crepe layer of the cake. And believe me, it is heaven! Sizes: * whole * slice Delivery available within Manila, Makati, BGC Taguig, Quezon City, Mandaluyong and Pasay only. Lead Time: 1-2 days. Original Mille Crepe by Papermoon It is evident with the uneven edge of a slice of it. It is surely created from passion. i loved the blend of the soft crepe and yummy cream love each bite of it. 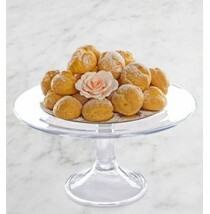 I also like that the delicate cream has the perfect balance sweet and thickness. Sizes: * whole * slices Delivery available within Manila, Makati, BGC Taguig, Quezon City, Mandaluyong and Pasay only. Lead Time: 1-2 days. Queso Real Mille Crepe by Papermoon Savor the rich decadence of fine queso de bola, natural cream cheese and fresh light pastry cream infused to every layer of generously topped with grated cheddar cheese. 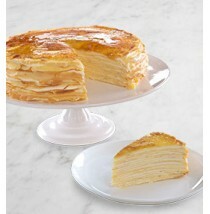 An equisitely delicious, salty-sweet cheese mille crepe experience annot be any more real than this. 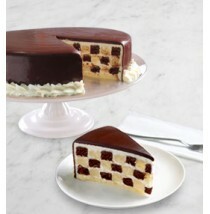 Sizes: * whole *slice Delivery available within Manila, Makati, BGC Taguig, Quezon City, Mandaluyong and Pasay only. Lead Time: 1-2 days. Strawberry Short Cake by Papermoon Layers of light vanilla sponge cake and whipped fresh cream, with a bounty of strawberries. Sizes: *whole *slice Delivery available within Manila, Makati, BGC Taguig, Quezon City, Mandaluyong and Pasay only. Lead Time: 1-2 days. Ultimate Ube Mille Crepe by Papermoon I'll choose the Ube! 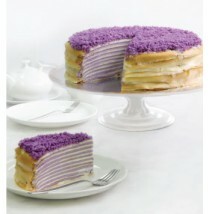 I love the taste of the mixture of the pastry cream and ube in between the crepe layers. 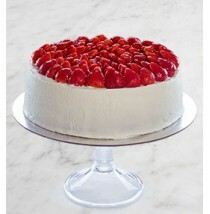 You may also want to have a slice of the other flavors of their Mille Crepe. Sizes: *whole *slice Delivery available within Manila, Makati, BGC Taguig, Quezon City, Mandaluyong and Pasay only. Lead Time: 1-2 days.